Supernatural season 10 comes to an end and with it, the Mark of Cain but in its place is apparently something far more dangerous. Dean went completely off the reservation last week when he slaughtered the Styne family one by one and this is continued this week when he works on a fairly normal -for him- case. The twist on that one is that Dean is completely bereft of the patience or compassion that normally helps him protect people. It has been replaced with anger and fierce determination. He calls out the situation as he sees it and is unapologetic about offending anyone in his way. This isn’t inherently evil by itself as we’ve seen Dean act insensitive before but the last few episode have been hammering the idea home that the Mark of Cain has all but corrupted him so it’s easy to connect the dots and figure out where this new mean streak would be coming from. As cases go it was fairly run of the mill but the episode didn’t give it any focus. It only existed to show how different Dean was. I could see this type of case be the focus of an entire episode in previous seasons but now it becomes an example of the “day job” so to speak. When Dean allowed the vampire to kill the other hunter just so he could finish the job it wasn’t unexpected but shocking nonetheless. Dean will have a lot of guilt to work through when this is over. It could be argued that the personality change is a bit sudden but I see it as Dean giving up resisting the Mark of Cain’s influence. As soon as he stops resisting the full force of it hits him and the change in personality is instantaneous. I don’t mind that as it has been handled really well. When Dean resists he struggles to hold it together and as soon as he does he is consumed by it. Dean does manage to come to his senses after seeing the faces of people he is responsible for killing in the mirror and decides that the world will be a better place if he’s not in it. With that in mind he summons Death himself and asks to be killed but it turns out that the Mark of Cain is beyond even the power of Death to overcome. Basically not even Death can kill Dean Winchester. The conversation with Death was my favourite part of the episode. He fills Dean in on the true origin of the Mark of Cain. It turns out that before God came along there was something called “The Darkness” -no, not the band though how great would that be if next season had Sam and Dean fighting Justin Hawkins and the rest of his group- that was beaten back and locked away. The Mark of Cain acts as lock and key to this prison and as a consequence someone has to be branded with it. The first carrier was Lucifer who was driven mad by it and then it passed to Cain who shouldered the burden for a long time before Dean came along. The villains for season 11? I found myself interested by this revelation but I have to wonder why there were no hints of this before now. I wonder if the writers came up with this once season 11 was announced. Either way it adds to the already massive mythology of the show and gives the Winchester’s another ultimate evil to fight next season. How many is that now? I’ve genuinely lost count. I don’t like the rewriting of Lucifer’s past by having him connected to this and using the Mark of Cain as the reason for him being evil. I’m happy that he just has his own agenda so don’t need this further developed to add some kind of pointless deeper significance to the whole thing. 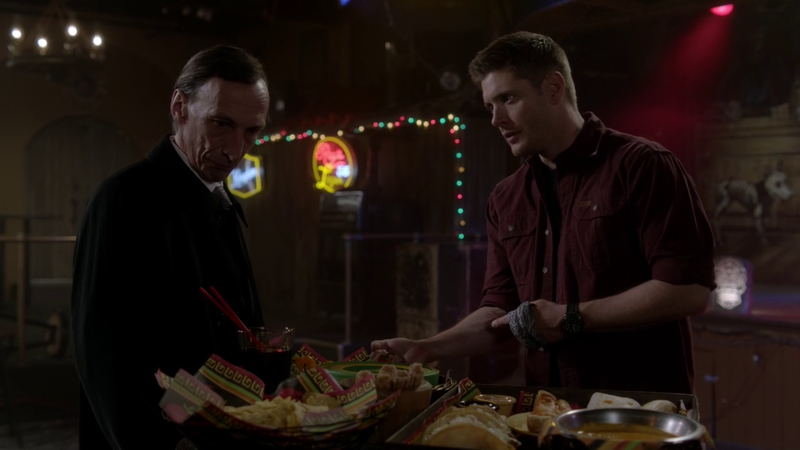 Death tells Dean that he can remove it but the consequence of that is that “The Darkness” is released. The only options available are to pass it onto another to be tormented for eternity or have Dean whisked off to somewhere he can’t harm himself or others. He will be completely alone and live forever but “The Darkness” will remain caged and nobody will be hurt as a result of the influence on Dean. As anyone might have guessed passing the thing on isn’t acceptable so option 2 becomes the only way. The added complication to that is that Sam is wholly determined to help his brother any way he can. If Death takes Dean away then Sam will find a way to bring him back and start this whole mess all over again. In other words this option is conditional on Sam being dead to prevent that from happening. The scene between Sam and Dean where this is laid out is great stuff from both Ackles and Padalecki. They have always played well off each other but this is one of their strongest scenes in recent memory. Sam doesn’t accept the plan at first but after a brief physical fight he realises that Dean is right and backs down. Before doing that he shows Dean pictures of happier times and reminds him of his capacity to love to give him something to help keep him human should he ever return. Padalecki plays Sam as unusually vulnerable in this scene and his devotion to Dean in -as far as he’s concerned- his final moments is really admirable. Having this work on Dean and have him kill Death instead was not unexpected but effective nonetheless. It reinforces the age old theme of the show being about Sam and Dean against the world and underworld. The death of…well Death creates some fascinating potential for the show as well. I wonder what the Reapers will do without a boss and what kind of power struggle that will create. Who will try to take Death’s place now that he’s no longer around? Next season should reveal that I imagine. Elsewhere in the story Rowena has translated the book and knows what spell to use to rid Dean of the Mark of Cain but she needs some pretty difficult ingredients which notably includes the sacrifice of something she loves. Naturally this isn’t Crowley but luckily she was taken in by a Polish family centuries ago and grew to love their youngest child who she healed from sickness and made an immortal out of sheer compassion. Wow that’s convenient, imagine what would have happened if she had nothing she loved to sacrifice. At least Oskar (Nathan Dales) was set up last week to seeming insignificance but became important here. Crowley was on top form this week slipping back into full evil mode as he kills a diner full of people just to get time alone with Oskar. His conversation with Castiel served the plot function of getting the ingredients for Rowena’s spell but it’s always a joy to see these two characters bounce off each other. I always want to see more scenes of them together. Rowena removing the Mark of Cain from Dean was as predicted by Death a terrible idea. It releases “The Darkness” and manages to give Rowena some really powerful magic to tap into. She’s so powerful that she can make Castiel try to kill Crowley. As cliffhangers go it’s a pretty ridiculous one as we all know that Crowley isn’t dying anytime soon, certainly not that way. 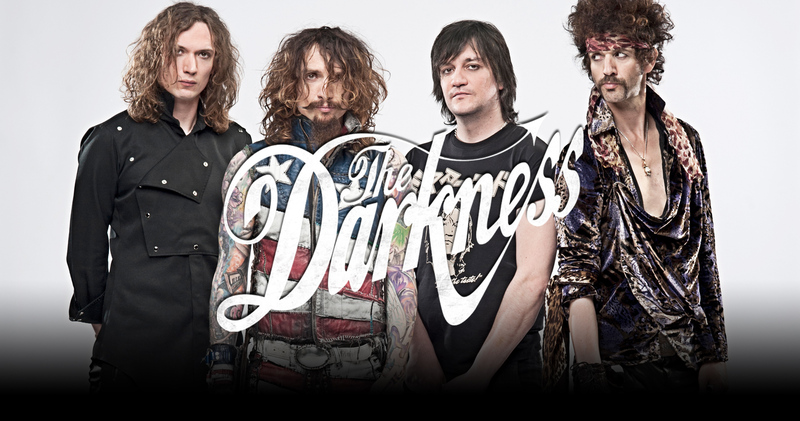 I look forward to seeing what form “The Darkness” takes next season and what it means for the show. 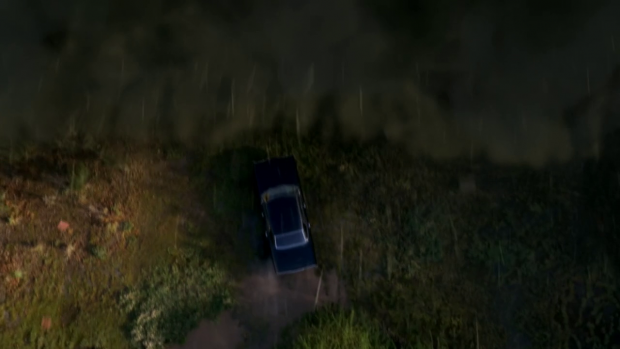 It looks possible that Sam and Dean could go back to basics hunting something more terrible than they ever have before. The black inky mist looked a bit similar to the Demon equivalent released from hell at the end of season 2 so we shall see. A really solid finale that closes off the Mark of Cain arc while leaving something else in its place for the Winchesters to deal with. After going completely off the reservation last week Dean continues on his rampage tearing through creatures at a fast pace before coming to his senses enough to petition Death to kill him once and for all. It’s not that simple as the Mark of Cain makes someone unkillable apparently so Death presents Dean with the option to either pass it on or be taken far away where he can’t hurt anyone. Death fills Dean in on the origins of the Mark of Cain and reveals that it’s actually a lock and key to hold back the most ancient of evils beaten back by God. Apparently it drove Lucifer insane and did the same to Cain. I’m not all that excited about the prospect of retconning Lucifer’s back story in such a way but the concept of an ancient evil should provide some interesting fodder for the next season. Another part of the bargain is that Sam has to die otherwise he’ll devote all of his time and energy to bringing Dean back and starting the process over again. The scene between them as Sam comes around to the idea was fantastic. Jensen Ackles and Jared Padalecki have always been good together but this was one of their best episodes in a long while. I love how vulnerable Sam appeared when he reminded Dean about his capacity to love being important for if he was to ever return. It’s enough to make Dean kill Death instead. Removing Death creates some interesting potential for next season. It should result in a power struggle for the now vacant position that could have some really evil forces trying to take advantage. It’ll also be fascinating to see what the Reapers do without their boss. This will hopefully bring Sam and Dean back to basics for a while. The show is at its best when it’s the two of them against the world and underworld and it might be refreshing to have another ultimate evil for them to take on for a while. I actually didn’t mind Rowena this week. There was another dimension to her character revealed by the compassion she feels for a human family who took her in centuries ago. She healed their son and granted him immortality as gratitude and now has to kill him to make her spell work. It’s awfully convenient that Rowena has one thing in the universe that she loves but it was handled quite well so I’ll let it slide. Having her end the episode more powerful than ever should create some good stories next season. Crowley was on top form here by fully embracing his evil ways as evidenced by killing a diner full of people simply to have a moment alone with Oskar. His interaction with Castiel was a great scene as well. It was important to the plot and proved to be fun at the same time. 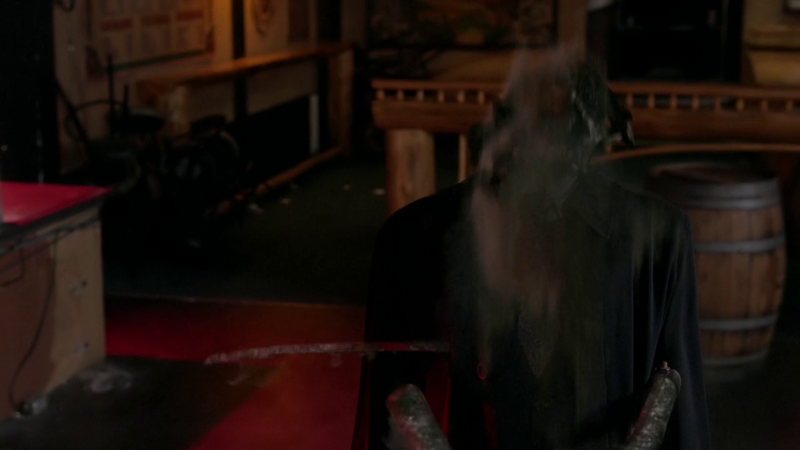 As Death protected the removal of the Mark of Cain isn’t a good thing as it causes some untold evil to be released into the universe but it does free Dean of the baggage that he’s had all season and sort of resets the show to something resembling an older style. Assuming this plays out that way season 11 could be a really fun ride.